Stock-aware CRM is a new type of CRM specifically designed for Manufacturers, Distributors and Wholesalers who sell physical products B2B. It integrates product, inventory and customer sales data, to streamline B2B CRM processes. Your team will save time, increase sales and maximise profits. If you would like to become the Sales Hero, then we would recommend taking a 21 Day, no obligation, Free Trial. 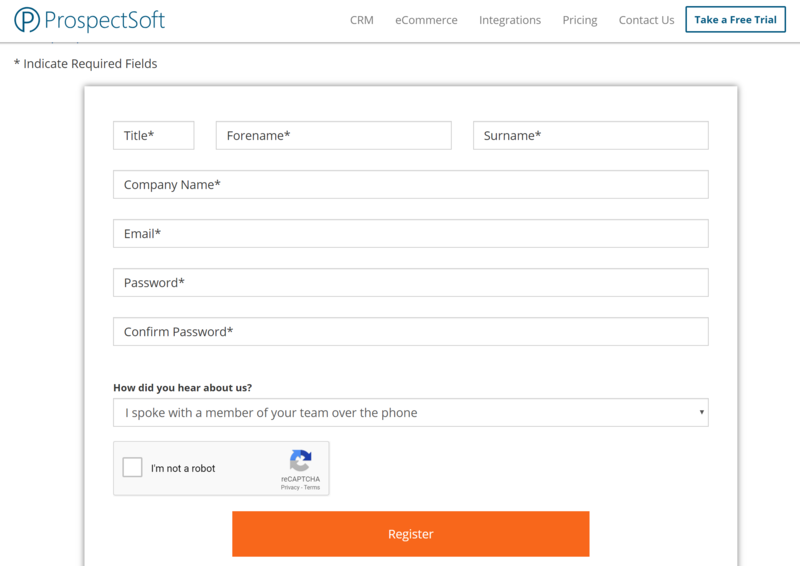 To take a Free Trial please navigate to our register page via https://www.prospectsoft.com/register. Here we just need a few details before creating your Free Trial! Once you've clicked 'Register' you will be sent an email which will ask you to verify your email address. After you have verified your address we will start building your Free Trial. You will receive an email from us once the Free Trial is ready for you to sign in & start using! We would always recommend booking in a demonstration to ensure you get the most out of your 21 Day Free Trial.